Level 3 Diploma in Construction Management offers the learners an inclusive pathway to the construction industry. If you are in quest of establishing a promising career in the construction industry then you should take the Level Diploma in Construction Management offered by Inspire London College. Construction Industry is among the world’s largest industries and construction firms require highly skilled professionals for managing their construction projects, therefore Inspire London College gives you the best opportunity to enroll on Level 3 Diploma in Construction Management and start learning the basics of Construction Management. Construction Management course is planned comprehensively which will introduce the learners with a detailed introduction to the construction industry, construction management and it will provide the learners essential tools and techniques that are highly appreciated by the construction firms at the time of selection. Furthermore, Construction Management diploma will enhance your job prospects in the construction industry as the trends suggest that professional construction manager’s demand is increasing and in future, there will be more job available for construction manager or construction supervisor. Therefore Inspire London College’s Diploma in Construction Management will facilitate you to develop the new skills and knowledge that are required by the construction industry. Inspire London College’s management and teaching staff will be there for your assistance for 24 hours a day and 7 days a week. After enrolling in this course you will get access to our Virtual Learning Environment (VLE)/Moodle and all the study materials and assessments will be available at VLE/Moodle. Understand Construction Management and how its effect the industry and its operations. Understanding the tools and techniques used for estimation of the project and their use in construction firms. Understand basics of a construction project and what is a requirement to start a construction project. Understand the management process on construction sites and how to manage labour during a construction project. Manage the supply and availability of staff and their satisfaction on construction site. Manage the financial and physical resources such as machinery, equipment and labour at the construction site. Understand high-quality standards at work site and its management. The Assignment Brief containing the different questions will be available on VLE / Moodle. You will be assessed by Inspire London College’s Assessor. A range of assessment methods may be used. When an assessment criteria is met, it will be graded ‘Pass’. If there is further evidence required, it will be graded ‘referred or fail’, and your assessor will give feedback as to how you can meet the criteria. You can resubmit an assignment as many times as you need to. 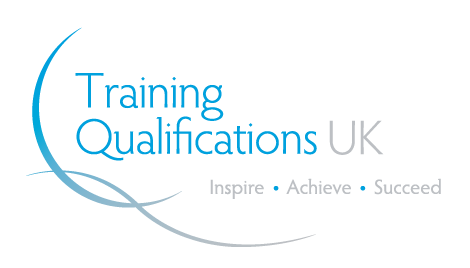 Upon successful completion of the course learner needs to pay for an *Endorsed Certificate* from an Ofqual regulated awarding organisation or from Inspire London College (PDF format only). Construction Management course is basically for the candidates who are in pursuit of promotion and specifically individuals from construction sectors can join for this course. Construction Management is also beneficial for candidates who want to enhance their management skills and knowledge to handle the construction projects. Business owners, who are running their own business, want to look over operations of a business, and the managers who want to develop skills to enhance their professional level by promotion are also encouraged to take this course. Workers and supervisors at construction sites who want to enhance their leadership skills can also avail this course. Individuals who want to enhance their career prospects and candidates who are at entry level and want to achieve success in near future are advised to enrol in the construction management course. After successful completion of Construction Management course candidates will be able to handle the construction firm matters and will have an open opportunity to start business of construction. Candidates who successfully complete this can join in site management, project management, human resource or any supervisory position in any construction organisation.